HSBC's annual pre-tax profits plummeted by 62% after the bank bore the brunt of a $3.2 billion (£2.6 billion) writedown in its private bank and a string of restructuring costs. Pre-tax profit fell from $18.87 billion to $7.11 billion in 2016, coming in way below analyst expectations. The bank also announced a loss on the disposal of Brazilian business and upped its cost-saving target to $6 billion a year by 2017, and it will invest the same figure to achieve this. It also announced further share buybacks of $1 billion in first half of the year in addition to the $2.5 billion it has bought back since August. Chairman Douglas Flint reaffirmed the bank’s plans to move 1,000 jobs from London to Paris over the next two years ahead of Brexit, ‘depending on how negotiations develop’. The Swiss arm of HSBC’s private bank became mired in a tax dodging scandal bac in 2015 and the bank set aside $773 million at the end of last year as a provision for ongoing regulatory investigations in multiple jurisdictions. In a lengthy addendum to its results, the bank also said it faces ongoing litigation risks for a number of alleged past misdemeanours, including around the sale of RMBS, issues around the Mossack Fonseca scandal and forex and precious metals price rigging. Shares in HSBC were down 5.03%, or 35.8p, at 676.5p at 8:17am. 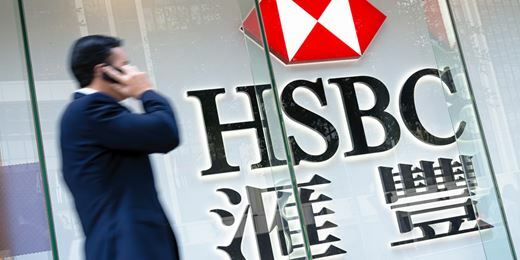 David Cheetham, chief market analyst at XTB, said: 'HSBC has released a largely disappointing set of results that look set to weigh on the stock price when trading in London begins at 8AM. Adjusted pretax profit for Q4 2016 badly missed forecasts in coming in at only $2.6 billion - around 25% lower than consensus estimates.